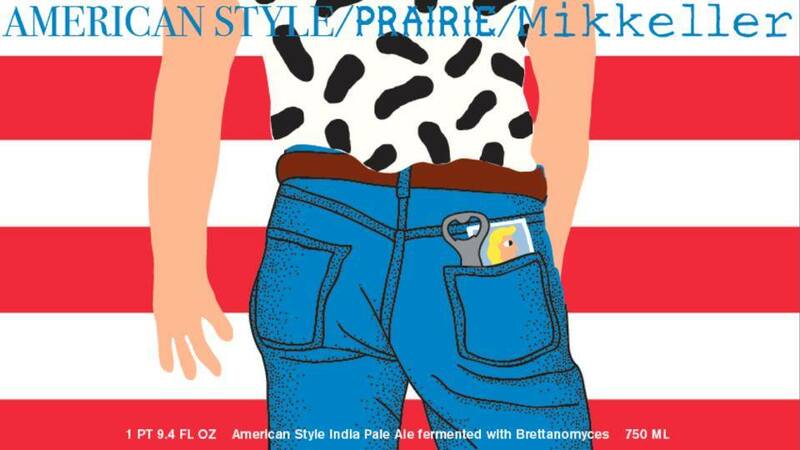 American Style is an international collaboration between the godfather of all gypsy brewers, Mikkeller, and one of the new stars of the US tenant brewing scene, Prairie Artisan Ales. Mikkel Borg Bjergsø and Chase Healey journeyed to Flanders to brew this twist on an American-style IPA with Dirk Naudts at De Proefbrouwerij . Predictably, it’s loaded with West Coast hops. What you might not have guessed, though, is that it was fermented exclusively with a special strain of Brettanomyces claussenii that’s light on the funkiness, but really aromatic. It leaves behind an astoundingly well attenuated IPA, which means it’s good for drinkin’. A serious amount of West Coast hops are added to the whirlpool and as dry hops to compliment the tropical notes from the Brett.